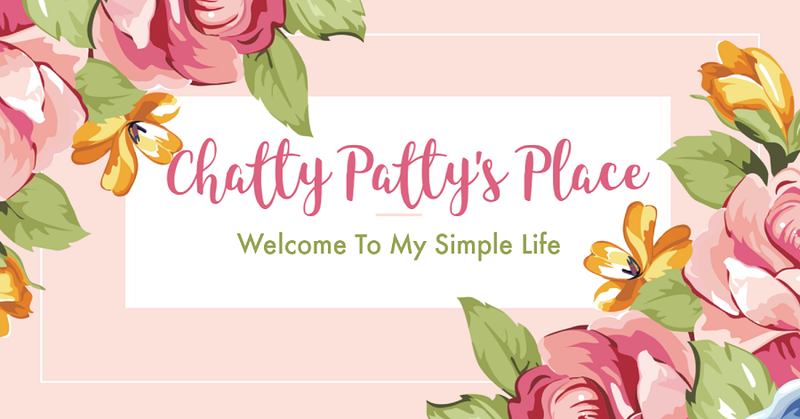 Welcome to DAY 4 of the Easter Fun Giveaways hosted by Chatty Patty's Place and The Review Wire! The award-winning product allows kids to bring any, and all, ideas to life in 3D! This 3D printing pen and its creations are not hot to touch and use low-heat, BPA-Free and Non-Toxic Plastic, making it completely safe for kids to use. 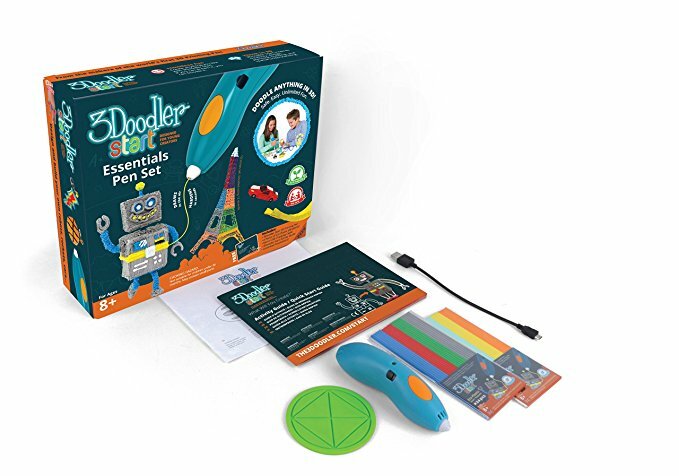 As tactile learning toy, the 3Doodler Start inspires creativity, design, planning, building and spatial understanding - perfect for STEM learning! 3Doodler Start is also the proud winner of Toy of the Year 2017 (Rookie category), and winner of numerous awards including Good Housekeeping’s 2016 Best Toy Award, The Oppenheim Toy Portfolio Platinum Award, National Parenting Product Award, Scholastic Parent and Child GOLD STAR TOY Award, and Toy Insider STEM 10 to name a few. 3Doodler Start Pen (Blue), 2 Packs of 3Doodler Start Plastic, Activity Guide (with over 12 projects) and Micro-USB Charging Cable. 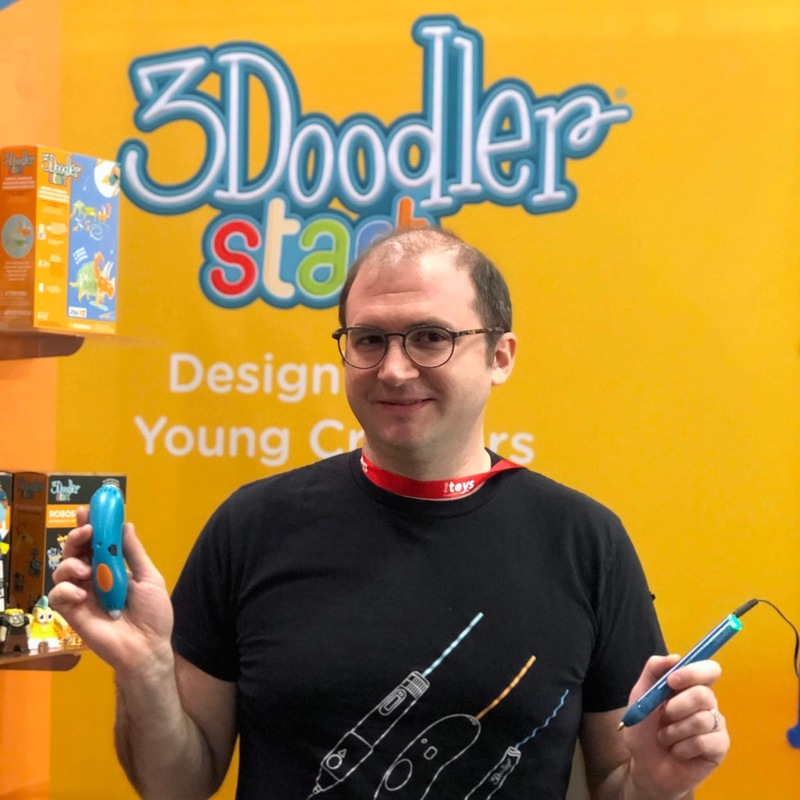 The Review Wire and I had the opportunity to spend an extensive amount of time with Maxwell, the inventor of 3Doodler, at Toy Fair this past February. We were so impressed with everything he showed us and told us about 3Doodler, that we thought it would a great idea to interview him for a post. CPP: How was the 3Doodler created? Maxwell: My business partner (Peter Dilworth) and I were working on a Robot Dinosaur. We were almost finished printing out the dinosaur's leg -- a 14 hour printing job-- when the printer made a mistake and missed a layer. We were obviously frustrated, and Pete noted what a shame it was that we couldn't just take the extruder head off the printer and fill in the gap. That's when we realized, why couldn't we? Once we did, we quickly became excited about the possibilities of a manual 3D printer and even drawing in the air. The next day we made a quick and dirty prototype that worked badly, but it worked. We wrote 3Doodler on the side of that very first prototype, kept improving it and never looked back. TRW: How long did it take from concept to finished product? Maxwell: From creating the initial prototype to having a product we were ready to ship to our very first users took just over a year and a half. We spent most of that time experimenting and refining the device to give users the best possible doodling experience. CPP: What did you do for a living before the 3Doodler ? Maxwell: Before founding WobbleWorks Inc. (the parent company of 3Doodler), I was a Director of Consumer Robotics at Handy Robotics and an RandD Manager at WowWee, launching products like Rovio, RS Media and ChatterBots. 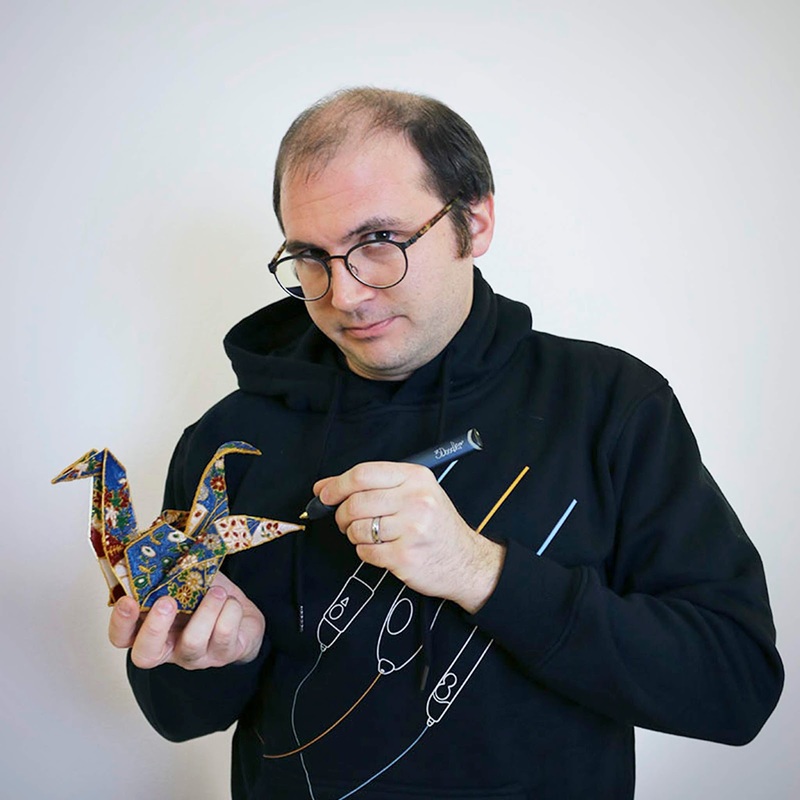 TRW: What do you think you'd be doing if you didn't create the 3Doodler? Maxwell: I'd still be inventing and hopefully creating amazing products, just not on the 3Doodler. TRW: What is the coolest thing you have seen created with the 3Doodler? Maxwell: We've seen so many amazing things done with the 3Doodler that we created a coffee table book to showcase them! If you asked me for a recent favorite, a German artist named Connie Kuglmeier spent nearly two months building a six-foot, six-inch replica of the Statue of Liberty that used more than 1,000 strands of PLA and 3Doodler Start plastic. We were supposed to have it at 2018 New York Toy Fair, but it got lost in customs. Thankfully it made it to our office in New York City where it currently lives. Another highlight for me is the life-size car made by a team of artists in the UK led by Grace DuPrez to celebrate the launch of a new model by Nissan. CPP: I understand 3Doodler is used in classrooms. Can you talk about that a bit? Maxwell: It's been an amazing experience to see how the 3Doodler pens have been impacting students in the classroom. 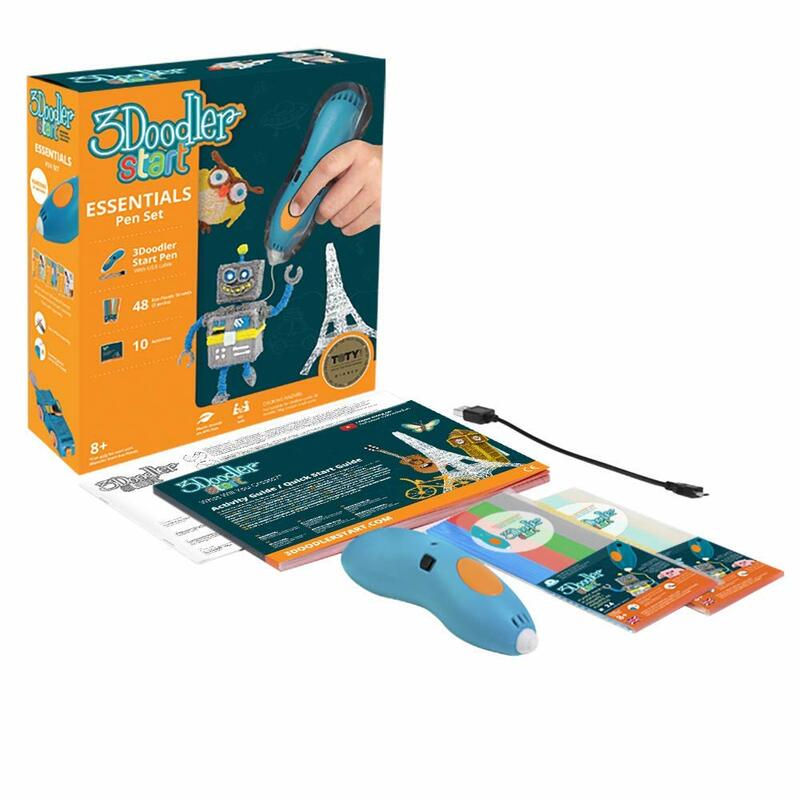 The 3Doodler Start is being used in kindergarten and elementary school, while the 3Doodler Create+ is being used in high schools and colleges. Teachers have been using it in every subject, from building a collaborative temple in history class to making roller coasters in physics class. The 3Doodler has the unique ability to bridge different learning styles. Unlike a traditional 3D printer, the 3Doodler provides a hands-on activity and it comes at a much lower cost. We are able to sell specially designed Learning Packs of 6 or 12 pens plus everything else a teacher needs to use the pen in a classroom for less than a traditional 3D printer. Another advantage is that all the students in a class can doodle at once, as opposed to a traditional printer which only one student can use at a time. For me, one of the biggest and most exciting impacts that we are seeing is with special needs students. We have seen positive impact on students with Dyslexia, ADHD, Autism and on the blind and partially sighted. We're proud to have collaborated with the RNIB (Royal National Institute for the Blind) to earn the 3Doodler Start their official endorsement, a quality assurance mark for products identified as "easy-to-use" for those who are blind or have sight loss. It's there has been such an easy-to-use device for the blind to use to make a raised line, so the possibilities are endless from graphing in math class, to the ability to write traditional letters and make tactile maps. 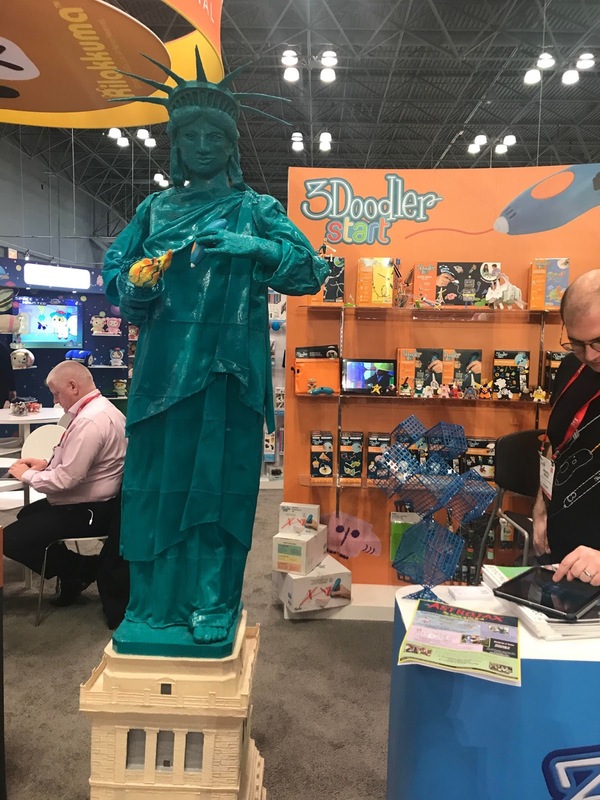 All in all, we are in over 5,000 schools and counting, and I can't wait to see how the 3Doodler helps to prepare the next generation for careers that don't even exist yet. CPP: What are your future plans for 3Doodler? Maxwell: We will continue to develop the best 3D printing pens on the market! The Create+ is the fifth generation of our original Kickstarter product, so users who have embraced 3Doodler over time have noticed the continued improvement over the last six years. The Create+ not only works with plastics like ABS, FLEXY and PLA, but wood filaments, which open up several home improvement opportunities, like fixing a floorboard. We always have more innovations on the horizon! TRW: What advice would you give to someone with a dream of an invention? Maxwell: The best advice I can give is to go work for someone else that makes physical products first. Learn how to turn an idea into a finished product before you try to do it on your own. Keep your idea and learn how to implement it, rather than just throwing it up on the internet and assuming you can figure out a way to make it later. Maxwell has graciously given us the opportunity to give away a 3Doodler Start to one of our followers, so that their child can experience first hand how fun it is to create with. The giveaway is open to US 48 contiguous states. 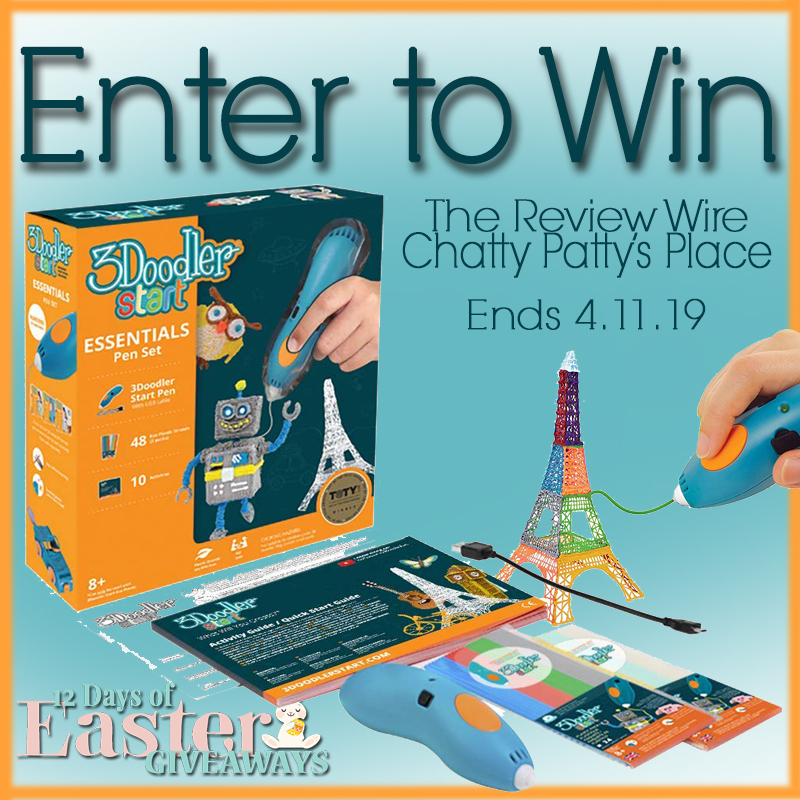 One reader will receive 3Doodler (RV $49.99). See below for terms and conditions. 11:59 PM EST on 4.11.19. Chatty Patty, I'm almost positive that I follow you on Instagram, but the link always leads me to: "Content Unavailable" :( Is there another link to your Instagram? Everytime I click on your instagram link I get this message: Sorry, this page isn't available. 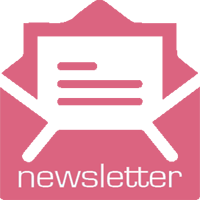 The link you followed may be broken, or the page may have been removed. Go back to Instagram. Do you have another link?